It has finally arrived on the horizon . 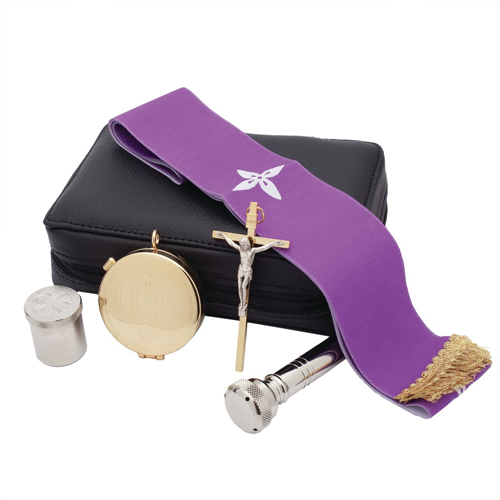 . . the day of your child’s First Holy Communion. You’ve probably been waiting and preparing for this moment for quite some time. 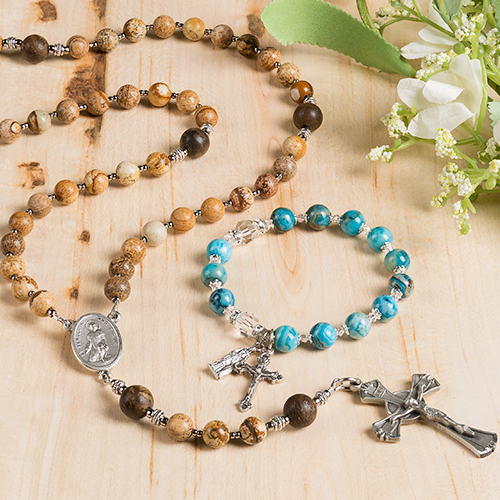 You’ve labored to raise your little one in the Catholic faith, and now they’re taking their next big step! It’s pretty exciting to know that your child is soon to receive the body, blood, soul, and divinity of Jesus Christ in the Blessed Sacrament, taking their next step of initiation into the Catholic faith. Unfortunately, though, with all the things that need to be done to get ready for the day, it’s more than easy to get lost in the hustle and completely neglect the most important thing of all—spiritually preparing your child for their special day. 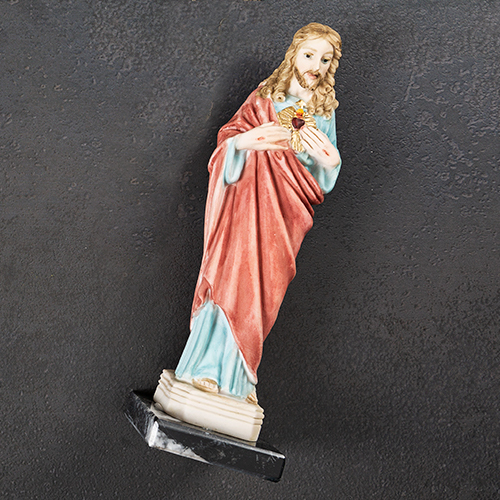 It’s tempting to rely on your child’s religious educators to teach them the importance of receiving the Eucharist, especially when you have so much to do to prepare for the occasion. However, the truth of the matter is that your child’s preparation for this Sacrament begins and ends with you, the parent. You are the most influential person in your child’s life, and the reverence you model for the Holy Eucharist is the reverence they will learn to imitate. 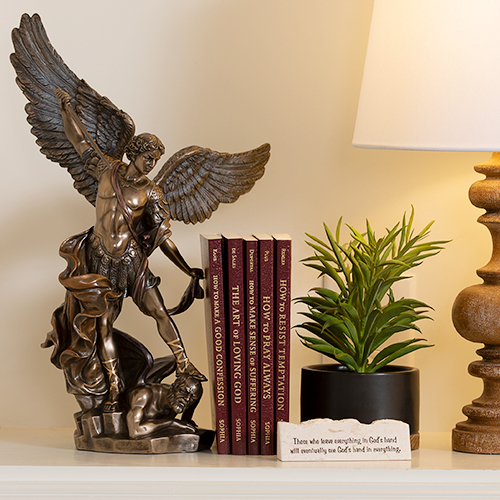 To help you, here are a few easy tips on how to keep yourself and your child focused on the real meaning of this amazing Sacrament. When you begin your fast before receiving Communion, announce to your child what you are doing and invite them to fast with you. Explain to them why we stop eating before going to Mass, and that you are preparing yourself spiritually and physically to receive Jesus into your body. Draw your child more deeply into Eucharistic reverence by praying with them before and after you receive Holy Communion. 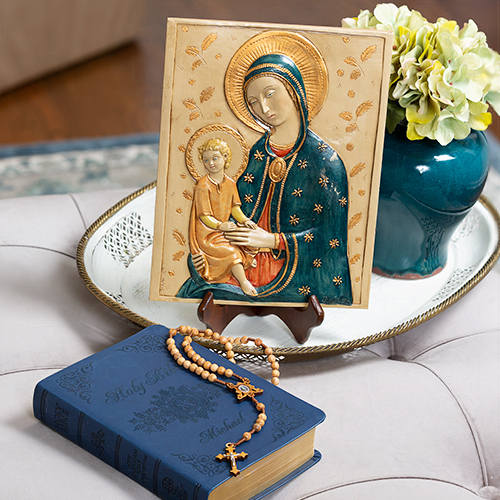 The Anima Christi is a beautiful and simple Eucharistic prayer that you and your child can practice memorizing together, and it’s usually found in the missal in the parish pew. Just arrive to Mass a few minutes early and pray this prayer together. Saying a special prayer in this way will teach your child to reverence the holy moment of receiving Communion. As you leave the pews when Mass ends, instead of genuflecting in the aisle and walking out, walk with your child up to the Tabernacle and genuflect with them there instead, or kneel with them for a few moments at the foot of the altar in quiet prayer. This will teach to your child that Jesus is really present in the Eucharist, and His resting place until the next Mass is in the Tabernacle. 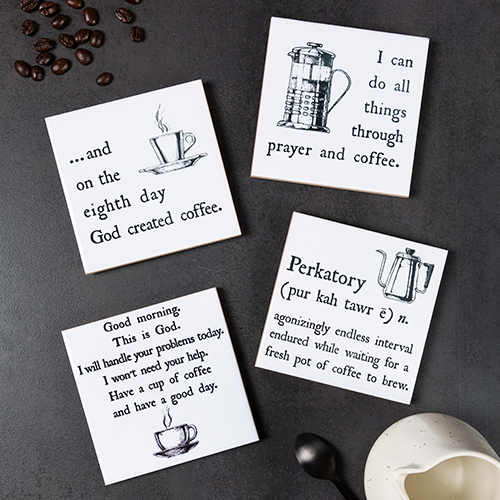 Note: If you need help finding the right words for these little moments, try using a Children’s First Communion Catechism. The idea is to continually reinforce to your child, in your own words, that it is Jesus’ real presence in the Eucharist that draws your family to Mass. 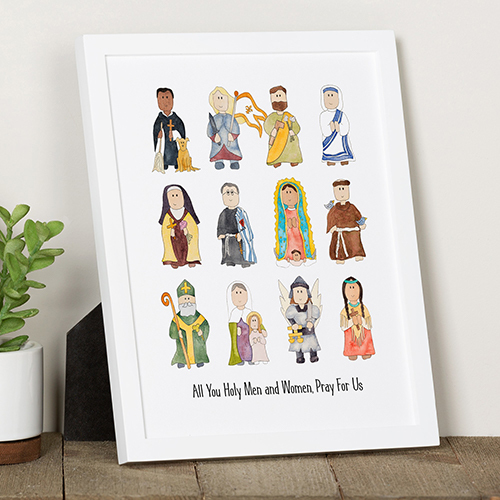 Our recent Popes have recommended children’s Eucharistic adoration as a great way to prepare your children spiritually for their First Communion. 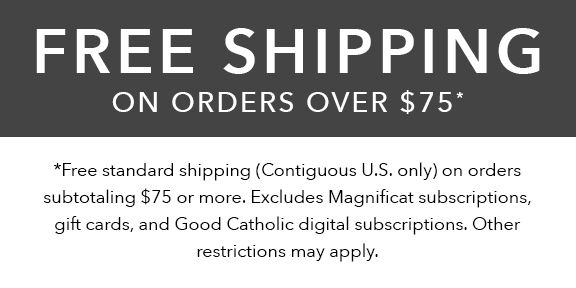 Don’t be concerned that your child won’t understand what Eucharistic Adoration is (you don’t even have to use those words), or that they won’t be able to sit quietly. Just tell your child that you are going to spend a few minutes sitting and talking with Jesus, and invite them to talk to Jesus too. Note: Remember that children are easy believers, and spiritual realities are not often difficult for them to grasp when plainly explained. You may find that your child not only grasps the concept of Jesus’ Real Presence in the Eucharist, but that they actually respond positively to the experience of Eucharistic Adoration. 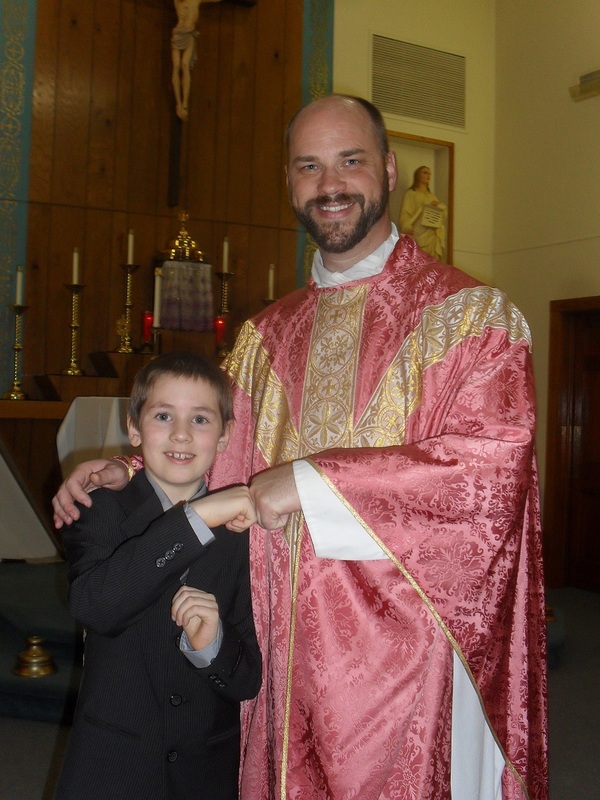 Your child may not understand the Mass very well, but that doesn’t mean that they can’t participate in their own way and on their own level with what is happening. There are great children’s Mass books available that teach kids about the reality of Jesus' presence in the Eucharist in fun and engaging ways; have one or two for your child to read before their big day. 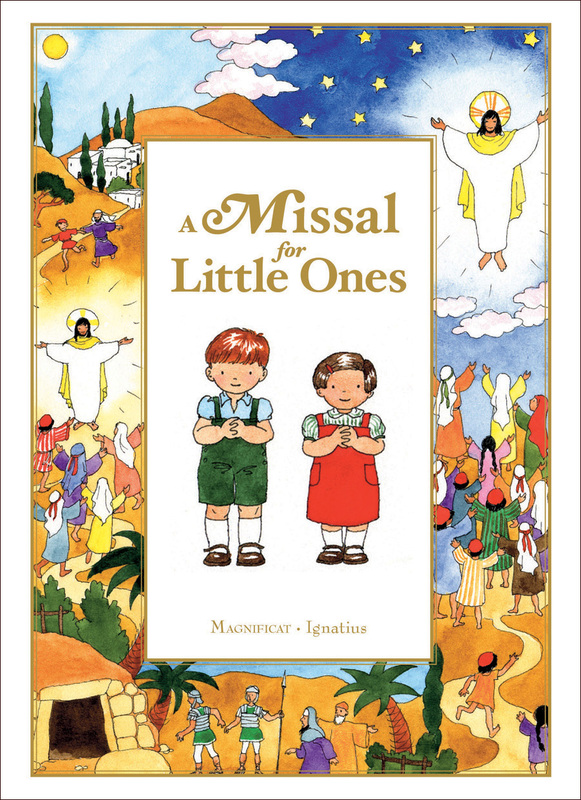 If you bring books for your child to look at during Mass, make sure it’s a children’s missal or other Catholic children’s catechesis books. 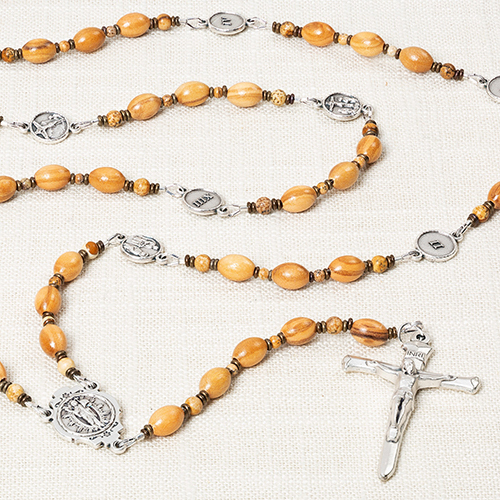 Let Mass be a holy hour for your child, just as it is for you! 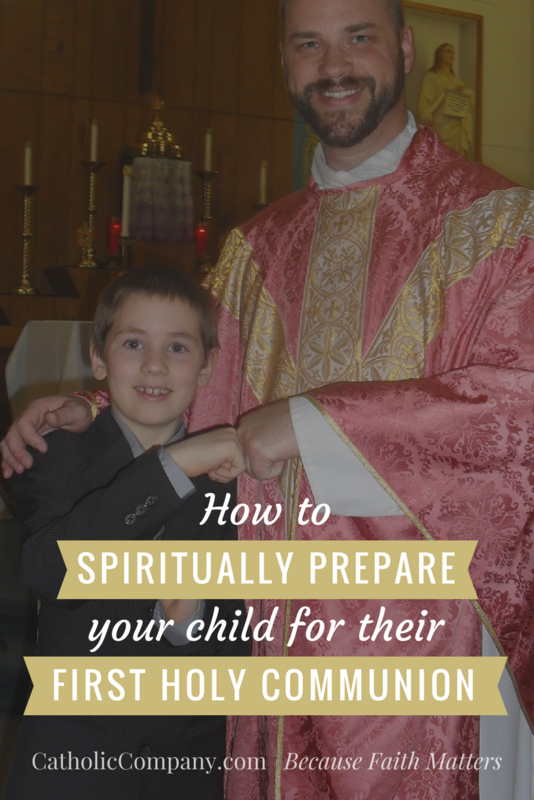 With these simple tips you can begin preparing your child now for their special day with Jesus, when they receive Him for the first time in the sacrament of Holy Communion. Not only that, but each of these tips are great to keep practicing for your child's entire first year or two as a new Communicant. 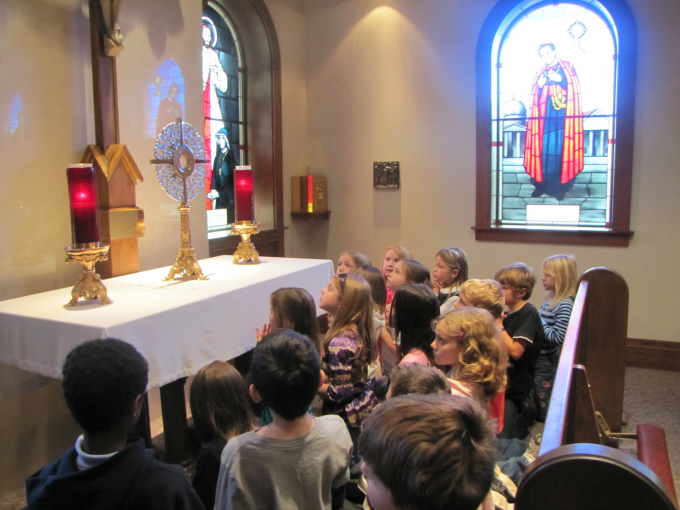 If a child is taught to reverence and love Jesus in the Blessed Sacrament at home in their early years, it will be that much harder for them to walk away from Him in their teen or adult years. 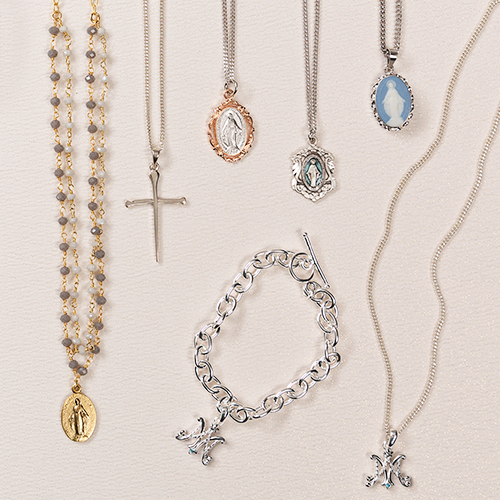 If you have found any other helpful ways to prepare your child spiritually for First Holy Communion, please share your comments with our readers below. This post has been updated and was originally published in March 2014. 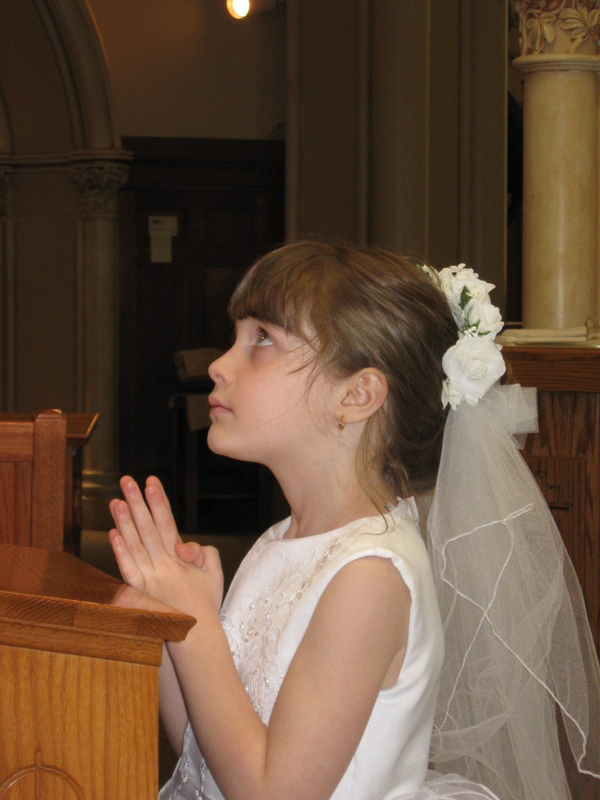 It is adapted from our original article, How to Spiritually Prepare your Child for First Communion, posted at CatholicMom.com. Each one of these topics are a reflection for parents/guardians to prepare and continue their journey in the sacrament of Holy Communion. These tips are definitely helpful even for parents with younger kids. The important but oh so difficult task to encourage the children to reverence and not just hush them to be quiet. Wonderful post - will share with our First Communion families. I am preparing 20 students for to receive jesus@ this is so perfect and helpful. Thank you! !